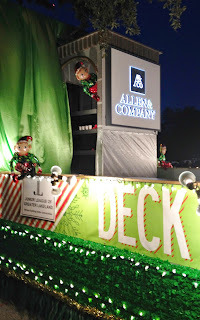 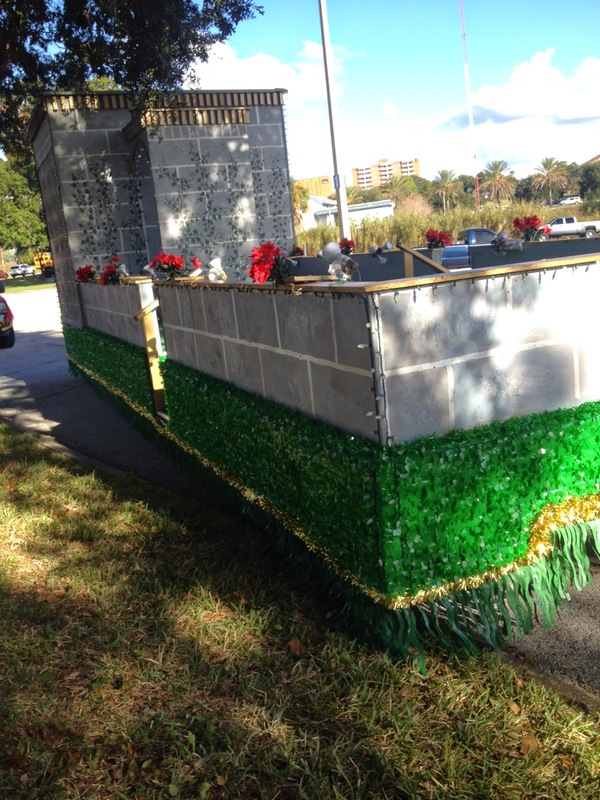 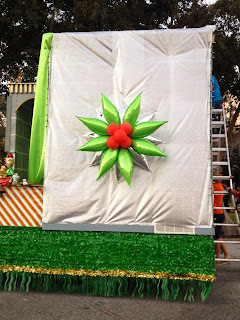 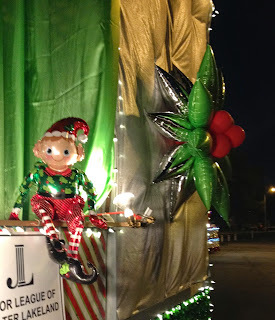 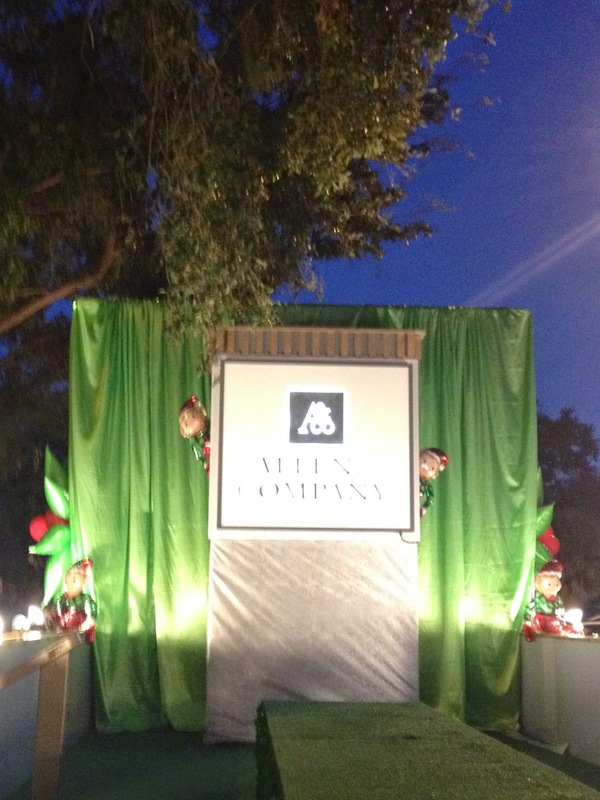 Party People Event Decorating Company: Lakeland Christmas Parade 2014...Best Pro FLOAT! 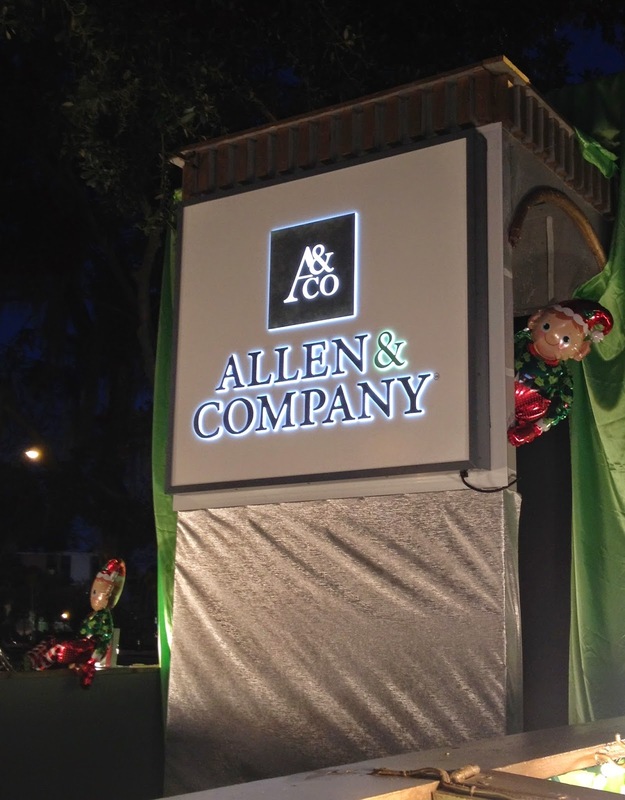 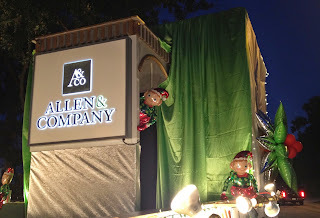 Party People Celebration company was honored that Allen & Company would request our services again to help decorate their Professional Float for the Lakeland Parade. 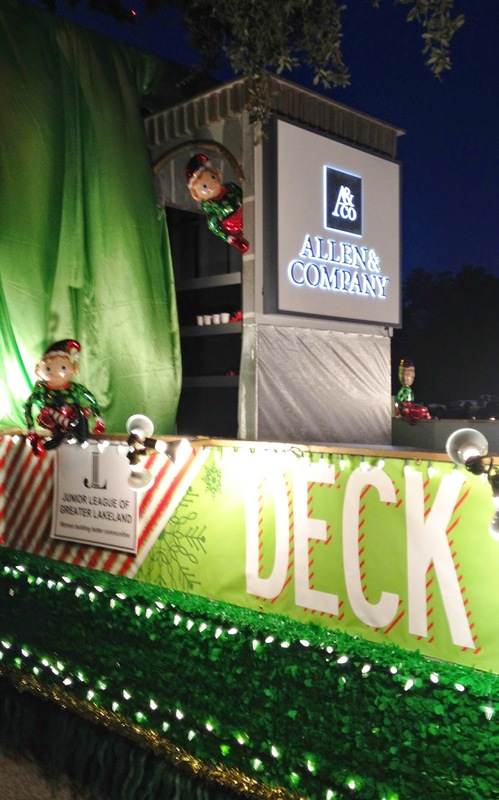 We are Proud to announce they won Best Pro Float from the Judges! 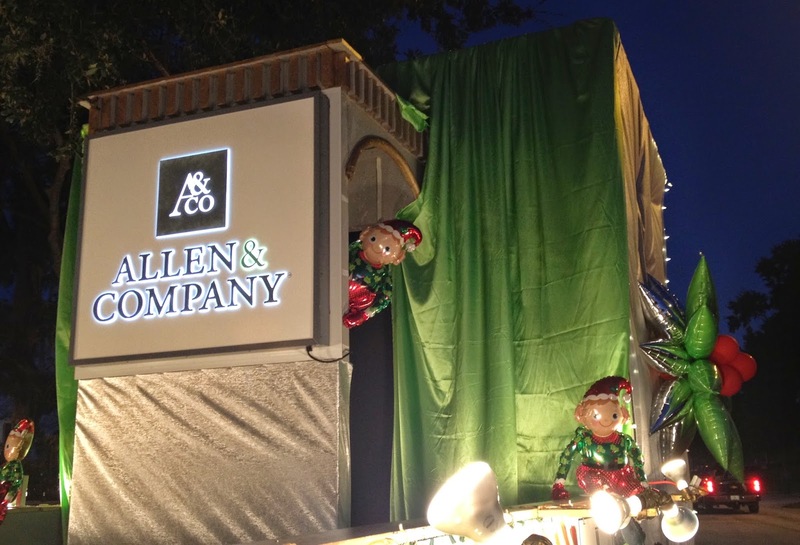 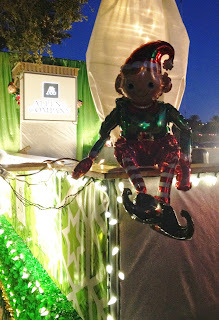 Johnathon, Joette and Marlee worked together to add Fabric accents, Adorable Elf Balloons and 5 ft wide Balloon Poinsettas in the Company's colors Silver and Lime. Due to the lighting the photos are a little blur but it gives you the idea. 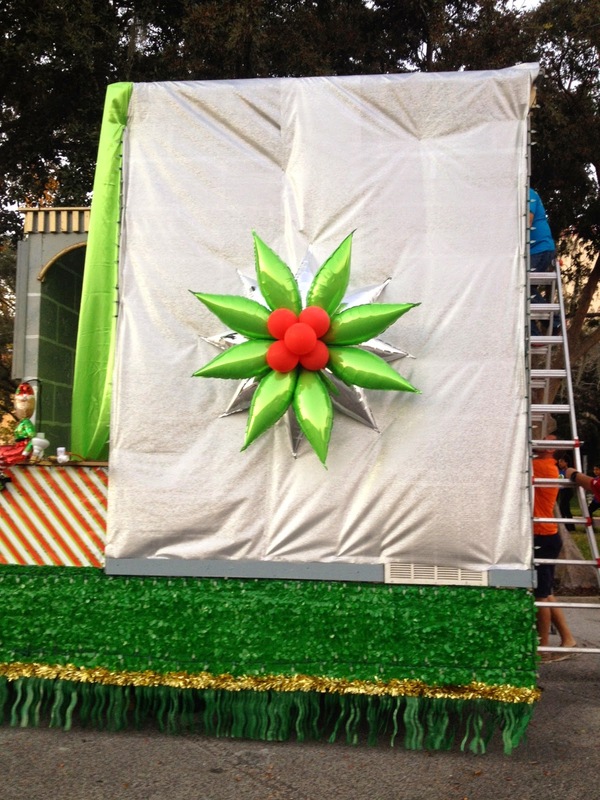 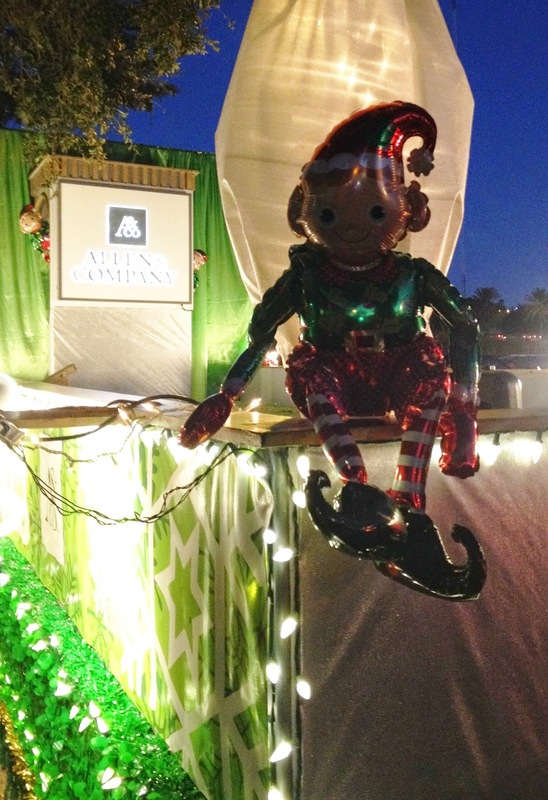 These elves bring so much personality and fun to the Float!